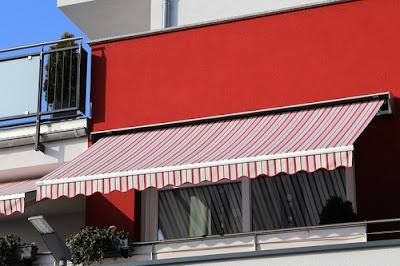 Awning are exterior coverings that are normally mounted on top of walls of building with the intention of protecting the wall may be after a fresh paint has been applied or during some seasons in the year where weather conditions are likely to damage the walls. Awning can also be defined as that piece of canvas, acrylic or vinyl that is normally stretched in front of a building, a doorway, deck, window or storeroom in order to keep of rain water or excess sun from entering the protected area. Awning can also be pitched outside a van or a train to be used for a certain purpose may be as a temporally office or restaurant or simply a place where people can relax for a while. 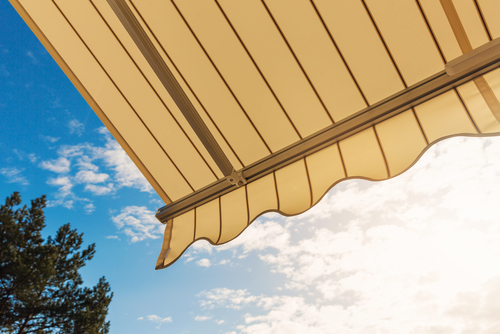 Awning are prone to damages from excessive heat from the sun, strong winds and heavy rains. Some damages may also result from incorrect ways of erection and overall handling. With this in mind therefore, care must be taken to ensure that non of the damages occur and that an awning serves the intended purpose for the anticipated period. Proper care on awning saves significant amount of time and money for repair and replacement as awnings that are appropriately erected can serve for many years without any need for repair or replacement. Additionally, an awning that is mounted in front of a building protects the inner parts as well as anything else inside the building from damages that may occur as a result of excess sun and rain water into the building. Also, awning enhances the beauty of a place. Inappropriate erection and lack of maintenance results to great damages of both the awning and the item intended to be protected. 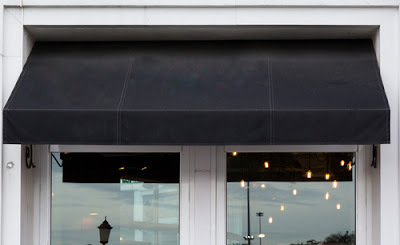 This article sheds more light on the best ways of maintaining awnings. In most instances, awnings are cleaned through hosed water that removes the dirt freely. However, in instances where there are dirty spots that cannot come out after hosing, special detergents that are made for cleaning awning should be used to scrub gently on the spots. 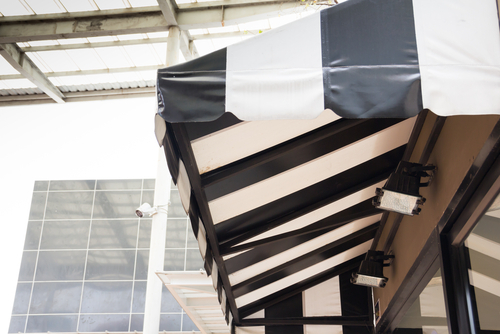 Hard scrabbling is likely to damage awnings especially those made of acrylic or vinyl. After cleaning,one must wait until the awning drys completely before rolling up so as to prevent formation of molds that may be very detrimental on the awning. 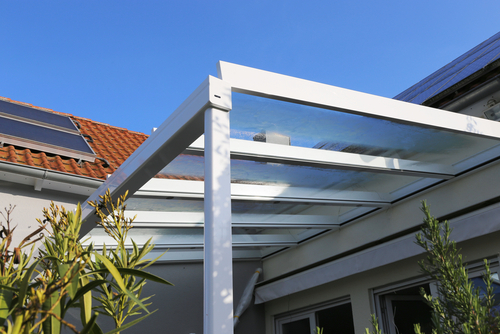 Awning should be well fitted with a top that is steep enough to ensure that water drains off. This is important because any water collection on the awning with exact unnecessary pressure and can lead to tear of the material. Furthermore,this weight can result to a complete destruction of the structure and would cost huge amounts for replacement. When erecting an awning, one must put into consideration the direction of the wind. This is so because strong winds into the awning will destroy the structure completely or may cause tear. For permanent awning that covers the walls of building, care must be taken during erection to ensure that there are no spaces left that can allow entry of wind. Strong winds in the awning are likely to blow it off completely or cause big tears. Some awnings require occasional rolling up and down depending on the use and the season of the year. When rolling up the awning,care must be taken to ensure that it moves freely without forcing any part.The handle should be held at the same angle with the eyelet so as to detect any part that is not folding appropriately as well as to make work easy. Additionally,automatic awning should fold freely up to the required level without stopping. All moving parts should be checked and lubricated often to ensure that they operate as required. Ultraviolet rays causes significant damages on awnings, therefore,one must ensure that an awning is not overly exposed to the sun.This can be achieved through prompt rolling up of the awning when it is not in use. Moreover,one must ensure that the awning purchased is accompanied by an aluminum covering that protects it during storage time. This covering ensures that the awning is always protected from ultraviolet rays and therefore less or no damages from the sun are experienced. Every awning comes with a lock to secure it when not in use. In most instances, the users forget to tightly fit the lock appropriately and as a result, great damages occur. To avoid such cases, one must ensure that the lock is well fitted and tightened especially during travel as strong winds are likely to blow off the awning. An awning that is blown off by wind can be dangerous as it can cause distraction to other road users resulting to accidents. 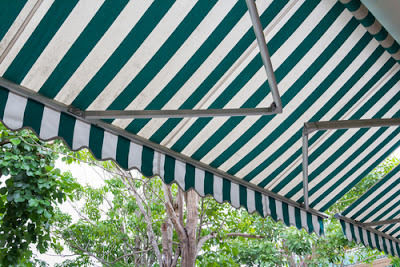 Awnings are stored while rolled up, in some instances, they are stored for a long time.With this in mind therefore, one must ensure that the rolled up awning is free from any debris and drops of water. 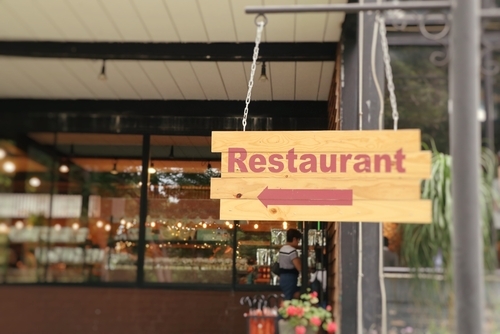 Debris on a rolled up awning are likely to causes damages. In the case where the debris contain sharp objects, the awning will be pierced resulting to big tears in the long run. Debris also cause molds that ends up destroying the appearance of the awning. In conclusion, purchasing as well as erection of awnings cost a good amount of money. Furthermore, repair or replacement is not pocket friendly either therefore, one must ensure that care is taken on awnings in order to cut down on any unnecessary expenses. Awning must be cleaned appropriately depending on the material as well as given time to dry completely before rolling up. Moreover, one should ensure that awnings are not over exposed to ultraviolet rays so as to avoid quick wear and tear. When rolling up the awnings, one should wipe off any debris as they are likely damage the awning. Finally, care should be taken in the use of the locks in order to tightly secure the awning and avoid instances whereby it can be blown by the wind during travel. Door and window awning more generally known as overhang or canopy is a covering that is attached to the outside wall of a house. Usually, it is built from polyester, woven polymer, vinyl, canvass, iron or steel and in some cases wood. Window awning was created to provide cover against weather conditions such as glaring sun's rays, rainfall, wind or snow. The following are some other functional advantages you should look at when deciding to buy window awnings and door canopies. 1. Impacts on indoor and exterior temperature - Not only do window awnings offer shield; they can have a stunning result on the ambient temperature, both indoor and outside your home or office. Researches have shown the shaded places can have a reduction in temp by as much as 20 degrees. This can be an appreciated advantage on those sizzling summer days by making heat levels more comfortable and lowering the cost of air conditioning. 2. Shield from harmful sunrays - Everyone considers that sunlight helps sustain life, yet everyone of us also knows that way too much sunlight can be hazardous to our skin and our furniture. Window awnings provide protection from the harmful UV rays and can decrease the volume of fading on cloth, wood, and plastic furniture as well. 3. Improve outdoor living area - Many home and business owners take on expensive renovations to double their overall living space. However, in numerous situations, the home and or business owner is only looking for more outdoor space. 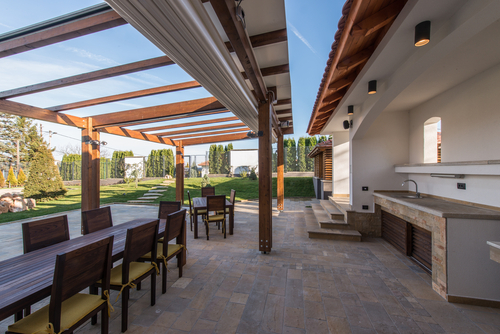 The placement of awnings in tricky areas such as patios and porches can keep thousands of dollars in building costs and give the similar output - more outdoor living space. 4. Raise property value - In the beginning glimpse, it would not appear that any variety of awning would give more importance to a home owner's property. However, relying on the certain style made and its visual characteristics, such an addition to your home can add curb design and improve the property's cost in the eyes of possible buyers. In some cases, it's the awnings that produce all the difference in a home sitting or selling. Window awnings and door canopies are emerging as a lot more in demand as an effective and budget friendly solution to greatly improve the functions and aesthetic value of your home. They are available in all designs and styles -- so you're sure to obtain one to fit your style and numerous can be installed yourself saving you more money. Bear in mind that window awnings are so much more than just elegant shades to hold the sun off. 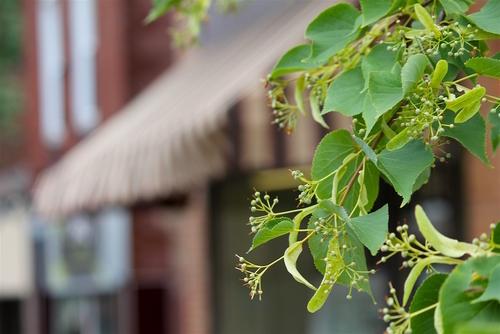 They're lovely, have curb appeal, can improve your home's future market price. They can save money on cooling cost, and they can give additional living spot at a fraction of the cost compared to building a room addition. All of these benefits make purchasing a window awning an excellent value for your home and your pocket. With a little exploration and organizing, you'll be taking pleasure in the benefits of your all new awning when springtime and summer come to your home. 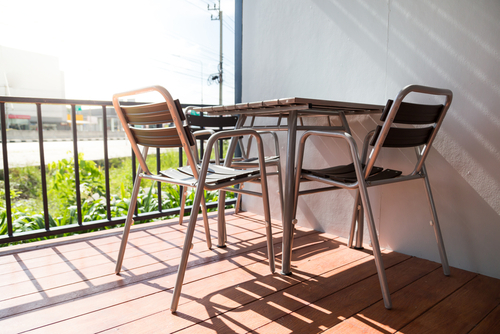 Considerations To Make When Hiring An Awning Company in Singapore. The professionals from the company should work with you in an efficient and friendly manner from the beginning to the end. They should have what it takes to complete your project with the best possible outcome. Commitment is something that you need to look for in the awning company that you want to hire. Make sure that the professionals from the company are committed to excellence. They should strive not just to meet the needs that you have, but to exceed them. It is also important to consider the background of the awning company that you are hiring. If you want to be guaranteed of quality results, you will need to make sure that the craftsmen from the company you are hiring have a wealth of experience in canvas and metal fabrication. All the employees that will be involved in your project be they welders, sewers, fabricators, cutters or graphic personnel, should have the right training as well as experience to complete the job promptly. You will also need to consider the pricing and scalability of the awning company that you are hiring. Custom work is usually not cheap. Do not simply choose a company because it offers the lowest rates for its awning services.